Relief Brigade’s medical clinics are an opportunity for those who cannot afford medical care to receive on-the-spot medical assistance. Thanks to the generosity of our Relief Week sponsors, we have completed three, two-day medical clinics in 2017, with almost 1,500 people treated in total. 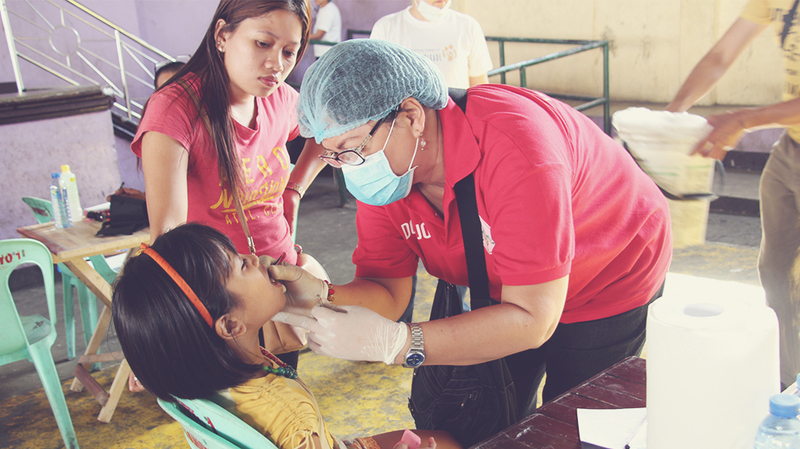 The mobile clinics were offered around Batangas and Cavite to help the most disadvantaged. They are run in conjunction with medical professionals who travel from outside Manila and who volunteer or accept a token wage to provide a variety of medical care – tooth extractions, newborn care and treatment for assorted ailments, diseases and infections. While some medication, like doses of anti-biotics, are dispensed at the clinics, the sheer volume of patients suffering from chronic conditions like high blood pressure unfortunately makes funding all the pharmaceutical needs prohibitive. This was clear after our first clinic. To help overcome this challenge, our most recent clinics have included free community information sessions by volunteer nutritionists who advise on preventive measures and lifestyle changes for common – and oftentimes chronic – conditions like high blood pressure or diabetes. The aim is to help the largest number of people manage their illness as best they can under the circumstances. Relief Brigade’s medical clinics are designed to provide maximum impact within our target communities. We are always looking to expand in ways that provide the most cost-effective help. In fact, we are now in discussions with a team of eye doctors and a charity that provides free eye exams and eyeglasses. Watch this space as we hope they will join us as part of our free medical clinics next year – kicking off during Relief Week 2018.